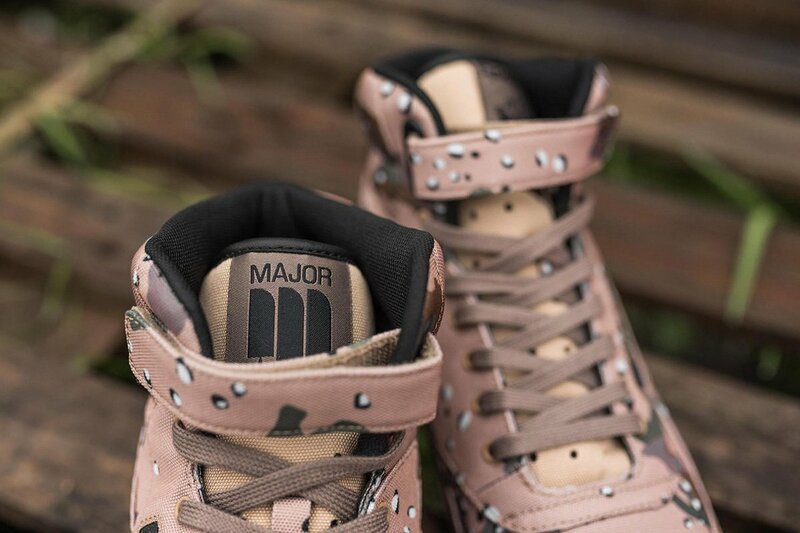 Major which is a retailer based out of Washington D.C. has another collaboration coming with Reebok that has started to land overseas. 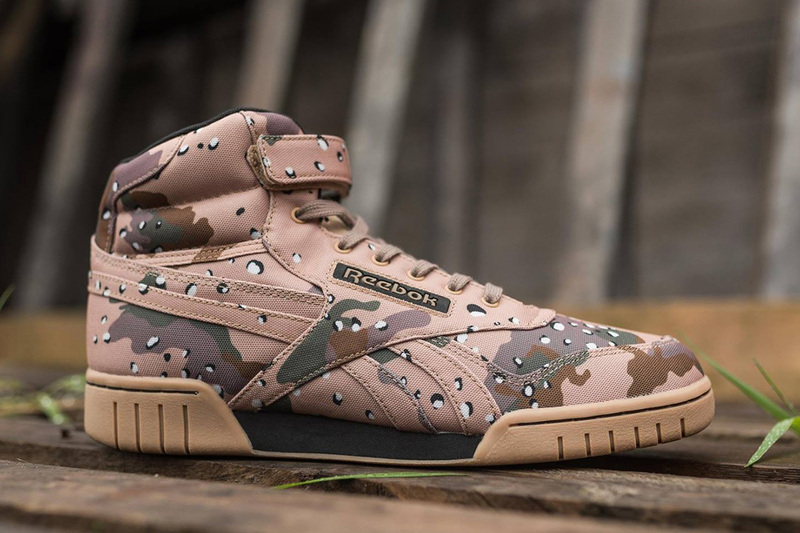 The two connect for the Major DC x Reebok EX-O-Fit Hi ‘Camo’ edition. 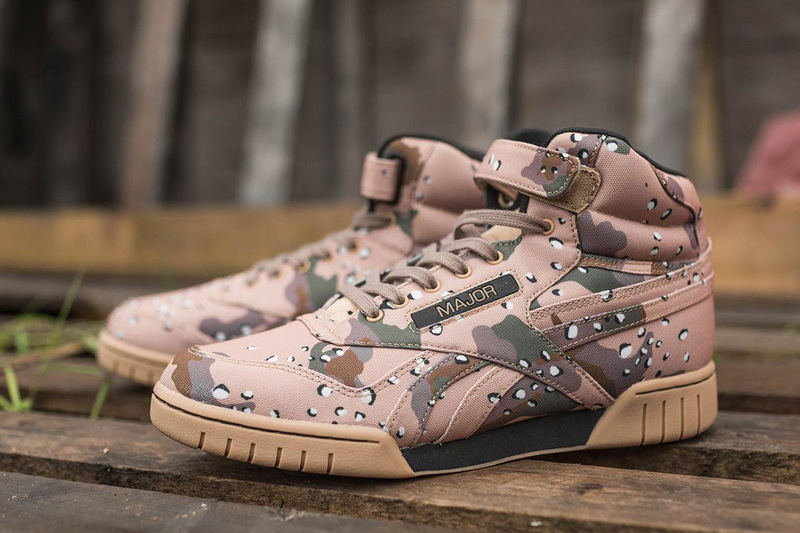 This Reebok Ex-O-Fit by Major DC is highlighted with a camouflage upper which shows shades of Tan, Beige, Brown, Grey and Green. 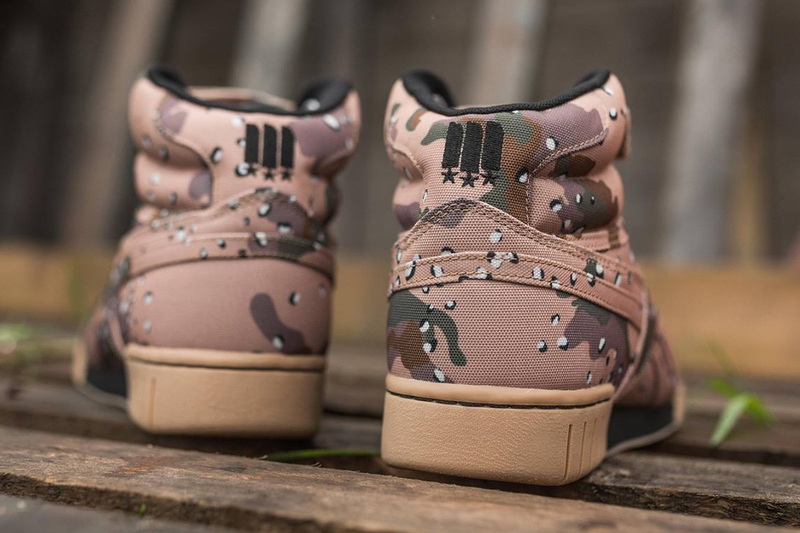 Construction with nylon and canvas throughout, Major and Reebok branding is seen in Black. In addition we have more Black that lands on the liner and part of the midsole. 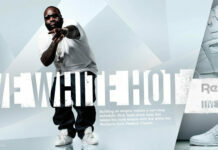 Completing the look is Gum on the outsole, custom insoles and Major DC branding on the tongue. 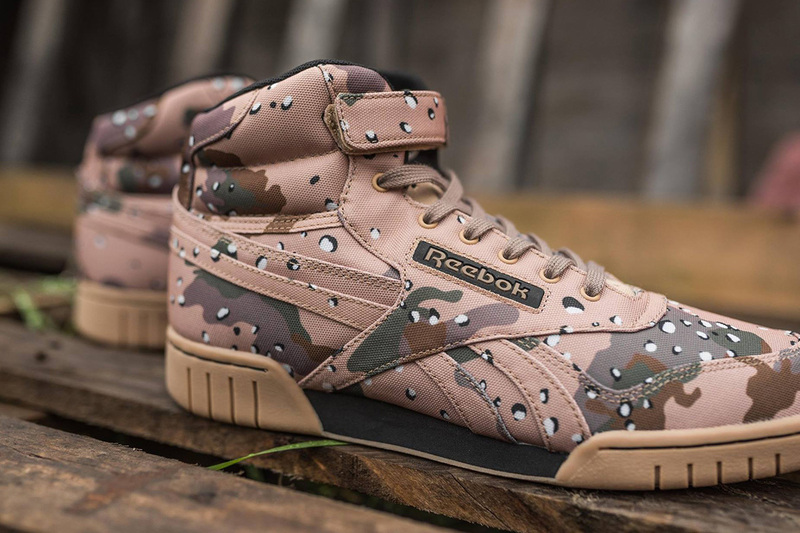 Below you can check out additional photos of the Major DC x Reebok EX-O-Fit Hi Camo which will show you a closer look. They are now starting to release at select retail stores which includes Hanon.